I know it's been a looooong time since my last post. We had a full house during the holidays, making for a fantastic time with family and friends. I had such fun spending time with all of them that I didn't spend much time sharing creations on Luscious Confections. Don't worry… I've still be creating things and now I have a great backlog of recipes to share with you! 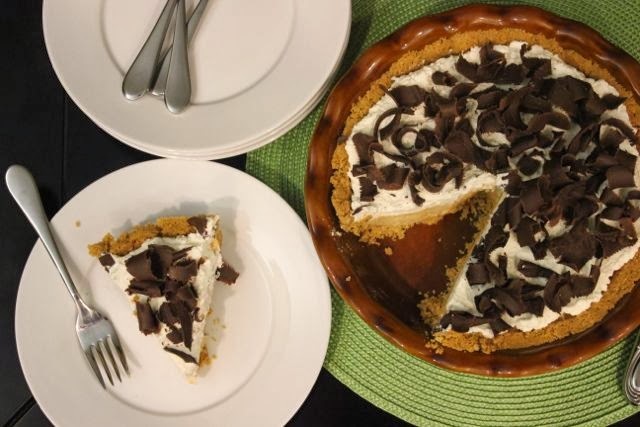 First up… Peanut Butter Pie! This would be perfect for your Super Bowl party or even Valentine's Day! Crush the cookies until finely ground. You can do this in a food processor or you can place the cookies in a large ziplock bag and use a rolling pin to crush them (and relieve some stress). Scrape the cookies into a 9-inch pie plate. Stir in the melted butter until the butter is evenly distributed. Press the crumbs evenly over the bottom and up the side of the pie plate. Freeze the crust for 15 minutes. Remove the crust from the freezer and bake the for about 10 minutes, until lightly golden. Let cool on a wire rack. In a large bowl, combine the peanut butter with the cream cheese, 1/2 cup of sugar and 1/4 teaspoon of salt and mix until thoroughly blended. You can use an electric mixer for this if you like. In a separate large bowl, whip 3/4 cup of the heavy cream with an electric mixer until stiff peaks form. Stir the whipped cream into the peanut butter mixture until smooth. 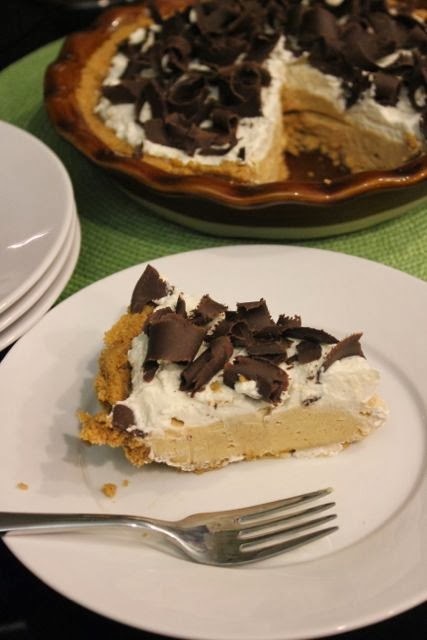 Spread the peanut butter filling in the crust in an even layer. Refrigerate until chilled, about 30 minutes. Whip the remaining 1 cup of heavy cream and 2 tablespoons of sugar with the vanilla until stiff. You can reuse the same large bowl you used a few minutes ago to whip the cream for the filling. Spread the whipped cream over the pie. 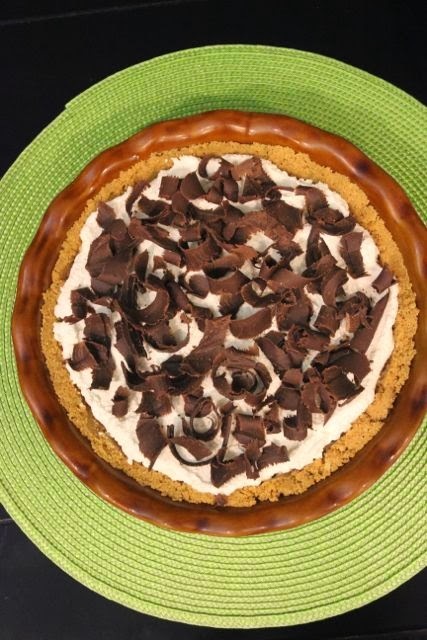 Use a vegetable peeler to shave some of the chocolate from your chocolate bar onto the top of the whipped cream. 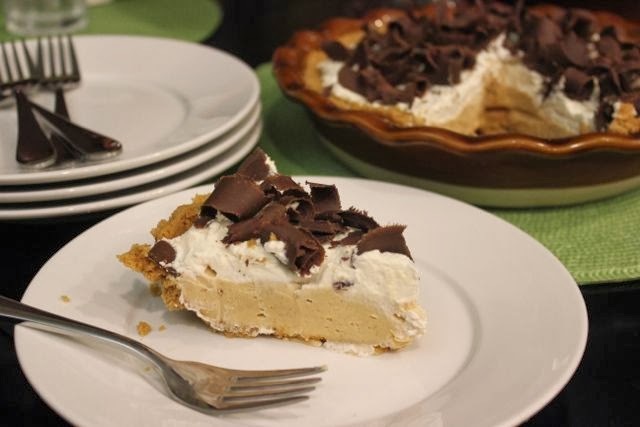 (If you prefer, you could also sprinkle the pie with some chopped peanuts).